Taste characteristics: What sets this ripe Pu-erh apart from other ripe Pu-erh is that this tea uses leaves from the arbor trees grown in high mountains, requiring no spraying of harmful chemicals. 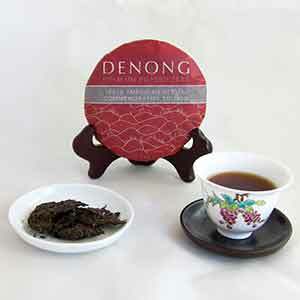 In addition, this tea is fermented using the traditional method, which will enhance the future aging of the tea. The result of the above factors is a tea that is bold, full-bodied, and rich. Enjoy the aftertaste that lingers in your mouth for an extended period of time after each sip.